Voices at CC Tulsa: Brookside is "The Place to Be"
Brookside is "The Place To Be" and offers great restaurants and fun nightlife. Brookside has plenty of choices when it comes to dining out or grabbing a cup of coffee. We have wine and martini bars and the hottest nightlife in town. There's ice cream, one-of-a-kind hamburger joints, as well as trendy and fine dining choices. It’s a fun place to stroll, bike, shop and enjoy outside meals and entertainment. You've got to come and experience Brookside. 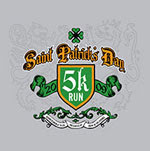 March 14, 2009 will be the 27th annual St. Patrick's 5K Run. The race has a history of being one of the top 5K races in Oklahoma. This race will attract more than 2,000 runners and has a tradition of kicking off the racing season for runners. All proceeds will benefit Special Olympics Oklahoma and the Tulsa Running Club.